Grace your front door with our handsome small letter box from our collection of classic letterboxes and plates designed to suit modern and period properties. Shown above in our smart, hardwearing matt black, this letterbox is handmade from forged iron which gives it a beautiful, weighty appearance and a quality that can only be achieved by traditional blacksmithing methods. Incorporating bevelled edging and a draught excluder, it has the look of a vintage find that is as practical as it is decorative. 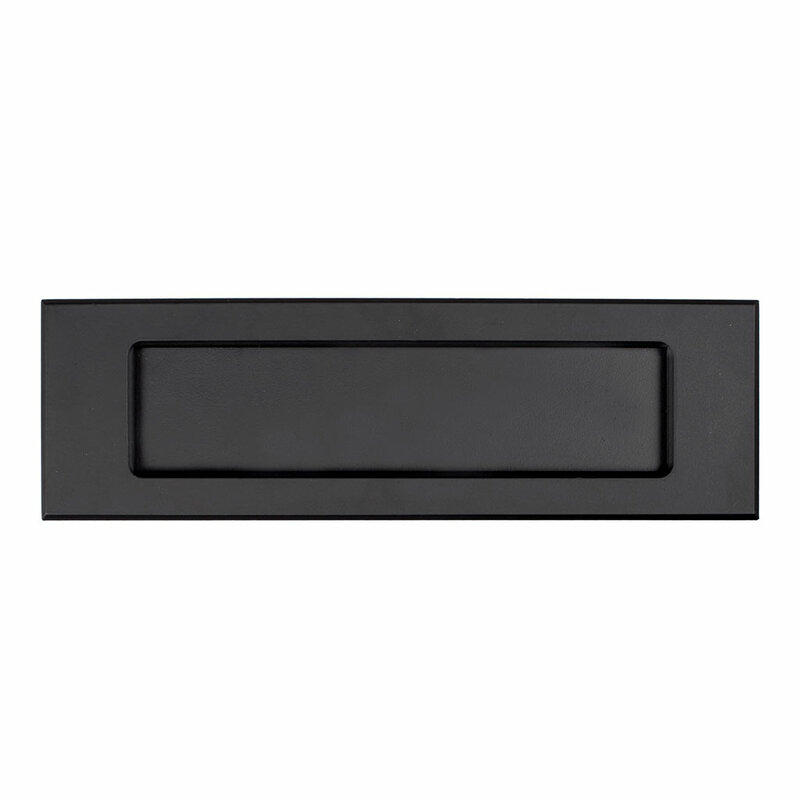 Matt black is a classic painted finish which gives a clean uniform look to any contemporary or traditional interior. To achieve it, the paint is applied in a powder coating process that creates a smooth, hard-wearing surface that is suitable for both indoors and out. 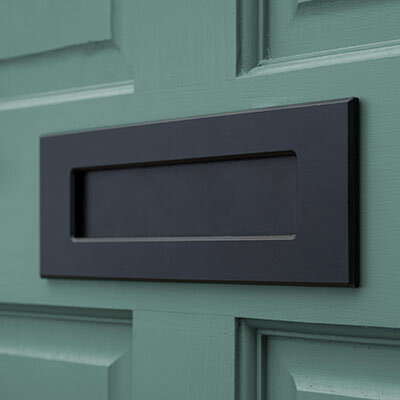 All our letterboxes are available in a selection of finishes to complement our range of door furniture. We recommend matt black, antique brass and polished brass for a traditional finishto a Georgian or Victorian town house or a country cottage. For a more contemporary feel, we think our gunmetal grey polished lacquer, or highly reflective nickel door furniture, looks amazing on modern buildings. 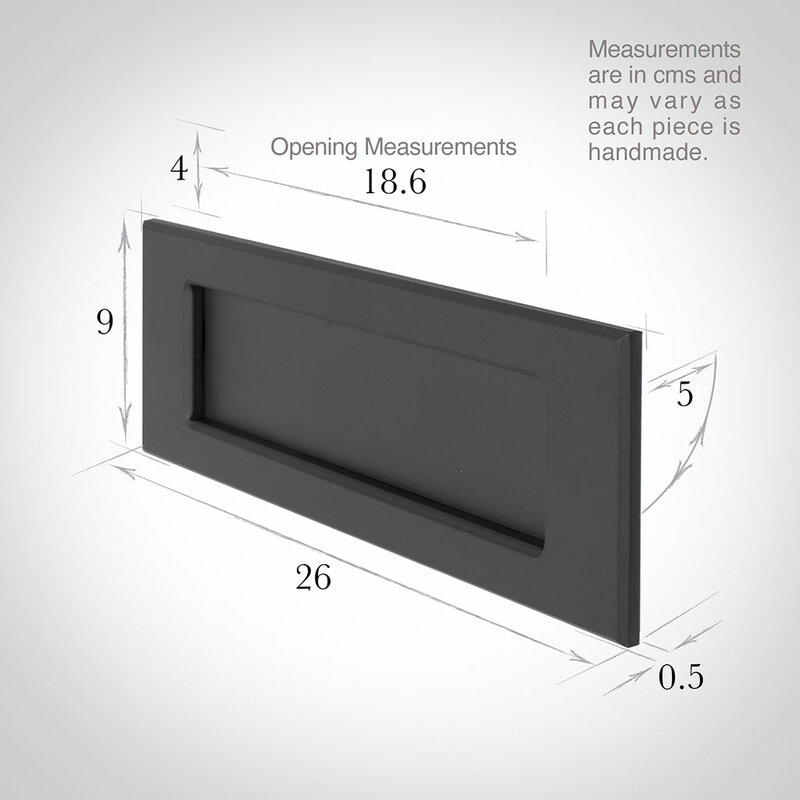 The Small Letter Box is 9cm H x 26cm W and the flap is 4 cm H x 18.5cm W.